Hello! 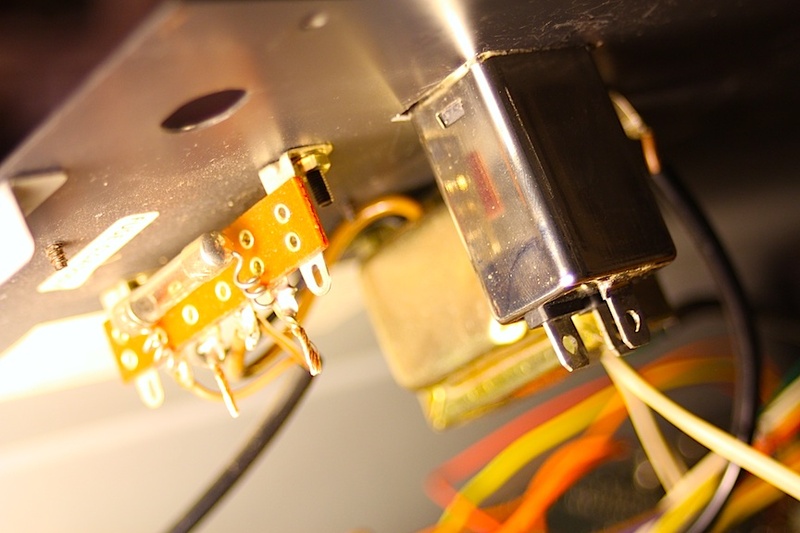 It's tech time again, Today I'm performing an IEC power receptacle upgrade on a Korg MS-10. It's a similar but easier process than the one I did for the Moog Rogue previously. The MS series is often equated with the MS-10's big brother the MS-20. But the 10 has it's perks as well. First off, it shares a similar semi modular design which became popular in the mid 1970's. This allowed basic sounds to happen easily without patching but also allowed more complex routing to be patched as well. This one has been moded slightly as you can see by the green wires that go from the mod wheel to the patch bay. It came like this and I never felt the need to change it. The wires connect the mod button to the patch bay in more places than it would have stock. Secondly, the Korg MS-10 sounds HUGE. The low frequency extension on this single oscillator synth is Awesome. I think it's far 'warmer' and 'deeper' than the Korg MS-20. I always assumed this was due to the fact that it only has a LPF and not a HPF/LPF. 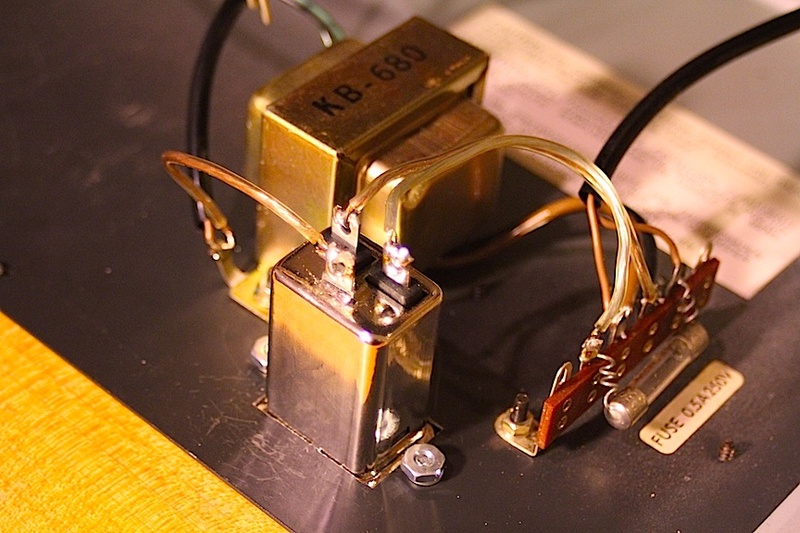 There's actually a pretty extensive article about the old Korg filters here. It even covers the newer Korg Monotron filters as well. 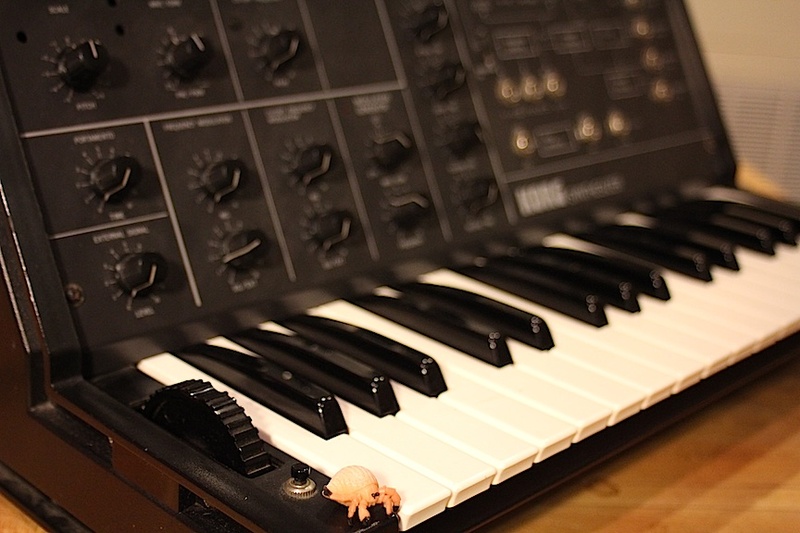 The MS series started in the 70's with a proprietary chip usually referred to as the Korg35. Later they went with a more off the shelf design that people think sounds different but not worse or better. 1, We aren't adding a transformer as the step down is already inside the unit. So the IEC will better protect you and the instrument by adding a better ground and a more physically robust power input as the hard wired power cables on instruments like this inevitably get dodgy at one end or the other. 2, We will be making a hole in the shell of the Korg. This is always scary but it gets easier with time, and having The Nibbler helps too! 3, This Korg also has a dodgy low F# key that i want to replace. I bought one from Synthparts. Thanks Doug! As always: Be Careful! 120 volts is enough to hurt you!